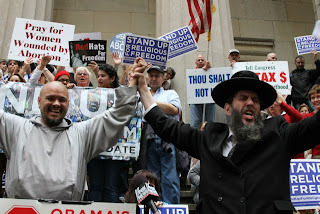 Rabbi Levin responds to Jewish Homosexual Activists Part 1 | RabbiLevin.com - Fighting for Morality! New York rabbi: Homosexuals can be helped with chemicals: A controversial New York rabbi has reacted to an article by someone who attempted reparative therapy by arguing that homosexual urges/activities could be controlled with chemicals. The rabbi claimed Jewish LGBT groups are a 'fifth column' within the Jewish community.